After a couple of days sightseeing in York, one of England’s most spectacular cities, I want to report back on the Liberal Democrats’ conference held there over the weekend. It ended with the traditional rallying cry from the party leader Tim Farron. He spelled out a bold strategy for the party: to replace Labour as the principal opposition, and then to take on the Conservatives for government. Well that’s not the first time I’ve heard such ideas from a Lib Dem leader’s speech – and the only result has been that the party’s wings melted like those of Icarus when it got too close to the heat of power. Could this time be different? The Lib Dems are particularly taken by the result of the recent General Election in the Netherlands, and their hopes rest on similar trends being repeated in Britain. Now if your knowledge of the Dutch election was based reporting by the BBC News, and other mainstream news outlets, you might be a little surprised. The BBC pitched the contest as between the party of the Prime Minister, Mark Rutte, the VVD, and the populist-right PVV, a one-man vehicle for its leader Geert Wilders, and his extreme views against immigration, the EU and Islam. The BBC hunted out Dutch working class voters for its vox pops, giving us the impression of a surge of support, in the manner of that that swept Donald Trump to power in the USA. The VVD meanwhile, though nominally a liberal party, seemed beholden to the PVV agenda, and anxious to sound tough on immigration, engineering a spat with the Turkish government to prove their point. When the VVD ended up with 33 seats, in the highly proportional Dutch electoral system, to the PVV’s 20, the BBC proclaimed the VVD as the winner, and quickly moved on. But there a 150 seats in the Netherlands parliament, so the VVD and the PVV covered barely a third between them. Elsewhere something much more interesting was happening, which puts the whole picture in a different perspective. There were in fact two main losers in the election: the VVD, which lost 8 seats, though remained the largest party, and, most spectacularly, the Labour Party (the PvdA), which was reduced from 38 seats to just 9. The PVV advanced by 5 seats, but there were bigger winners. D66, the liberal left party most similar in outlook to the British Lib Dems, advanced 7 seats to 19; the Christian Democrats (the CDA), a party not unlike Britain’s Conservatives as they are being refashioned by Theresa May, also took 19 seats, gaining 6; and the biggest winner was the GreenLeft, which advanced 10 seats to 14. What to make of this? Well it is fair to suggest that Mr Wilders and his PVV has set the political agenda. The CDA did well by coopting some of its ideas, and the VVD managed to hang on with similar tactics. But the two parties that where most vocal in promoting the opposite agenda, of voicing a sense of Dutch identity based on tolerance and being part of Europe, picked up 17 seats and have real momentum. The traditional Labour party was unable to hold together its coalition and collapsed. And so the implications for British politics are clear. Mrs May’s strategy for the Conservatives, with a lurch to right on identity and social issues, and to the left on economic ones, looks sound enough. The polls show it has a commanding lead, crushing the populist Ukip, and even doing respectably in Scotland. Labour, meanwhile, are floundering – unable to find a formula that holds together its coalition of traditional working class, new working class (including ethnic minority workers) and liberal public sector workers. Its problems are compounded by spectacularly weak leadership, and a sense of political entitlement amongst its membership that makes them focus inwardly, rather than develop an effective political presence in the country at large. And the success of D66 and the GreenLeft shows the possibilities for the Lib Dems, by wearing its liberal and pro-European heart on its sleeve. There should be an opportunity for Britain’s Greens too, but they seem to have lost critical mass. Their move to being a party of the socialist left before the 2015 general election, including the adoption of Universal Income, was probably a major strategic error – and anyway the party seems allergic to clear leadership. And so the Lib Dems at York went big for being pro-European, promoting a second referendum with a way back into the EU – and promoting the rights of EU citizens living in Britain. Political realists may dismiss this as being silly, but it lights fires. The populist surge, promoted by a hateful press, and supporting a hard Brexit, is generating a backlash, and the Lib Dems mean to exploit it. But Mr Farron, and the party at large, are starting to look beyond that. That was evidenced by one fudge and one new idea. The fudge was on nuclear weapons. The party’s liberal principles point to unilateral nuclear disarmament, eloquently argued for by many activists. But members at large sensed danger and adopted a fudged policy that will go nowhere. As David Grace, one of those advocating the unilateralist position, rightly pointed out – the party was not afraid of the Russians so much as of the Daily Mail. While intellectually persuaded of the unilateralist line, I personally lacked the courage to support it. It would put off too many floating voters. The new idea was put forward by Tim Farron in his speech: an economic commission of independent experts to develop new ideas on economic policy. This follows a similar idea on health and social care. This is a step that the Labour leader Jeremy Corbyn started to take and then dropped – no doubt because he feared it would be a hostage to fortune. The time is ripe for new thinking on economic policy, and the Conservative government is heading for some deep trouble, with its over-commitment to austerity and low taxes, not to mention hard Brexit. Tim’s commission cuts across the brief of an internal policy group (on the “21st Century Economy”), which I am planning to contribute to, but this looks like a sound move by him. The party can’t carry a new economic policy by itself. Tim’s strategy is clear. Develop a core vote based on European identity and a liberal understanding of British values. And then pitch for floating voters, including those that voted for Brexit, based on economics and public services. Could it work? Labour could yet scupper it by dropping Mr Corbyn and going for the right replacement leader. Their German counterparts seem to be having some success with such a strategy. The most convincing alternative leaders are probably David Miliband or Ed Balls – but both are out parliament. Meanwhile the threat of complete collapse remains – the Dutch Labour Party is only the latest in a line of spectacular political failures by traditional socialist parties in Europe. The Lib Dems will still need a lot of luck – but this looks like their best chance. I do not warm to Tim Farron personally. I am too cynical for his grand rhetoric, and bored of his jokes. But he is proving to be a very capable political strategist – much better than his predecessor. This will be interesting to watch. 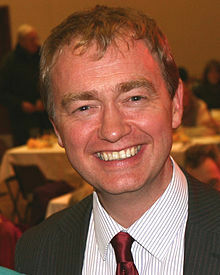 Tim Farron, the Lib Dem leader saved the best until last. His speech to close the party conference in Brighton yesterday was a barnstormer. He was interrupted by standing ovations several times. It was up to the standard set in Bournemouth last year. How much substance lies behind the expansive rhetoric? The speech was ambitious. Tim set out make the Lib Dems the main opposition to the Conservative government, accusing Jeremy Corbyn’s Labour Party of abdicating the role. This is another example of the supreme, irrational optimism that, as former MP David Howarth pointed out in a fringe meeting, is the Lib Dems greatest strength and weakness. Tim continues to use his big speeches to stake out the political ground for the party, on which we might hope for more substantial things to be built. The party’s policy motions at the conference failed to build anything much though. The many new members were no doubt delighted to meet up with so many like-minded people, and learn about how politics works – but would have struggled to understand what the policy debates were for. Tim places the party is the unambiguously on the left (or among the “progressives” in the favoured, rather misleading word), by defining it in opposition to the Tories. With the Conservatives hitched to Brexit, this is safer than it has been – but not as safe as trying to get the party to define its own, distinctive place in politics. Interestingly he made an appeal for the Lib Dems to be the party of business and free enterprise, and urged businesses to switch allegiance – and this went down quite well amongst the members. This is not the first time he has planted such hints, but I’m still unclear of what it will mean. Where I want it to go is a model of regional economic development not dependent of central state largesse. We shall see. But the main policy fields sketched out were on Europe, health and social care, and education. The party is unambiguously pro EU, wishing to draw in Remain supporters. Tim advocates a referendum on whatever alternative to the EU the government eventually reaches. This may be cunning positioning, but I struggle with the idea as serious policy. The “destination” as he calls it probably will not be clear until Article 50 has been invoked and the bridges burnt. Hopes for some sort of middle way between hard Brexit (being outside the single market or a customs union) and full membership are fading. Still this is changing terrain and a more coherent pro-EU position may emerge. Nothing came out of the conference on the party’s vision for the EU itself, even though the institution is clearly in crisis. Where Tim was much stronger was in acknowledging the concerns of working class Brexit voters, referring to his own Lancashire working class roots. He is not trying to blame the voters, but to build bridges. This must be right, if not entirely consistent with some ideas of a “core vote” strategy. He is much braver on health and social care. Tim, and his former leadership rival Norman Lamb, have identified that health and social care are in crisis. Norman, who remains highly respected in the party, is putting together a commission of experts to develop new vision – and one that will probably involve higher taxes. This is promising – it entails some thought leadership on an issue the public really cares about. With Labour bogged down in union vested interests, and the Tories lacking convincing policy, this development starts to answer the question “why the Liberal Democrats?”. Alas there was much less thought leadership on education. The party’s instincts are sound enough, but I don’t think Tim, or many in the party, have quite caught up with where schools really are, rather than some rather lurid caricatures. But with the Conservatives veering off to the blind alley of school selection, the political opportunity remains for the party. Yet it would be good if it could develop more ambition. There is a policy working group on education (I applied but was not included) – but these groups tend to square off the party’s internal pressure groups, rather than try to develop a wider public debate – which the health initiative is clearly intended to do. Tim also developed a general direction of travel for economic policy. He wants more for the regions outside London and the southeast – led by infrastructure investment. He said that these areas had been let down by both the Thatcher and Brown/Blair governments, who were seduced by the bankers, and under-invested in infrastructure and skills. There is something in this. And he did not walk into the leftist trap of employing abstract villains, such as neoliberalism or austerity. This is all sound, but not very distinctive. He could have been much stronger on green investment, but I think the party has sound instincts on that. But what of my question of last week, about how the party is developing a narrative on coalition? It still wants to play both sides on this, and Tim talks about it as little as possible. He neither sells the coalition’s achievements, nor condemns it as a mistake. I attended a very interesting fringe with former ministers David Laws and Chris Huhne on the coalition years. They acknowledged errors – on tuition fees, benefit reform and NHS reform in particualr, but still enthused on what the coalition had achieved. Fine, but the party still has to explain how it can be of the left and at the same time prop up a government of the right. “That was then, and this is now” is about as good as it gets. The truth is that it very hard for the party. Some members expressed frustration that it does not make more of its achievements – others find many of the things the coalition did (notably on benefits and legal aid) a betrayal of the party’s principles. Expect the muddle to continue for a while. Personally I want the party to rethink its exclusive identification with the left, while seeking to identify areas of agreement with it. The party will help the left by becoming semi-detached – but in the right circumstances it will work with the right too. And that takes us to a further question. How will the party work with other parties to get things done? It is all very well for Tim Farron to condemn Mr Corbyn’s leadership of Labour as an abdication, but what if Labour, under Mr Corbyn or otherwise, gets its act together? Tim did not rule out working with other parties, and there was plenty of talk at the conference of working with Labour and the Greens. I have bought a book, The Alternative, which tries to develop this – and I will report back when I have read it. For now it is far too easy for us Lib Dems to simply rule out working with Labour and dream to replace them, rather than wake up to the cold, hard realities of how little party is trusted. Working with Labour is about the only way the party is going to achieve anything practical if it rules out working with the Conservatives again. It is fanciful to suggest that Labour will collapse and leave the field clear for the resurgence of the Lib Dems. But the party can still pick off Tory seats beyond Labour’s reach. Surely we are better off trying to get some form of constructive engagement? What is clear to me is that the left needs to develop a new policy agenda which is capable of capturing the imagination of a sceptical public. The Lib Dems are engaging in this process. But, to put it at its kindest, it is far to early for the party to imagine that it can lead it. I’m just back from Bournemouth where Britain’s Liberal Democrats have been having their Autumn Conference. 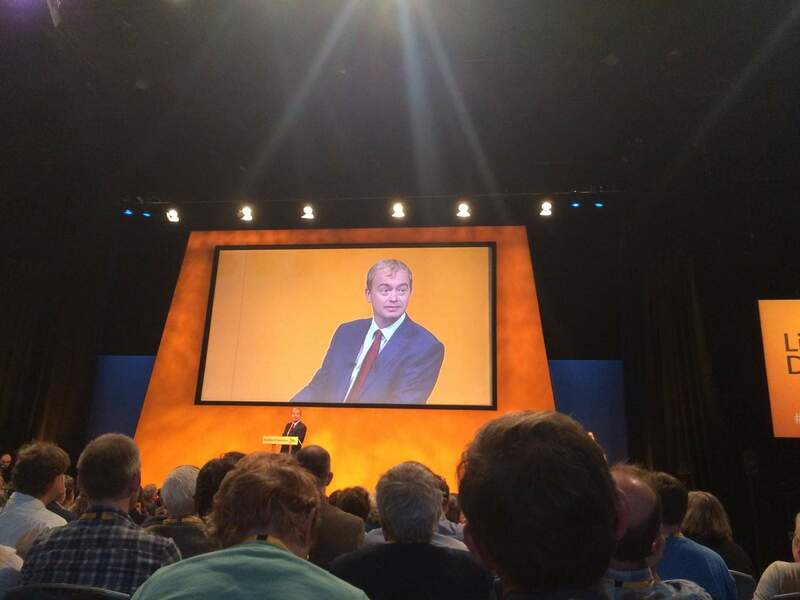 This was the first conference after this year’s General Election completed five successive years of rout for the party, and the first under its new leader, Tim Farron. It went as well as the party could have hoped for. The depth of the party’s defeat in May can barely be described, as it was reduced from 57 seats to just 8. This was most spectacular in the south west of England, which had been the party’s main stronghold, but where the party lost every single seat. The public were fed up with it, which had formed a coalition government with the Conservatives. Both the Conservatives and Labour were more interested in crushing the Lib Dems that in damaging each other, and neither could the party resist the SNP surge in Scotland. Meanwhile, on the ground, in most places, the party had exhausted itself, and could no longer mount the sort of strong grass-roots campaigns that had seen its rise to 63 seats in 2005. What had been a steady decline after this high point turned into a rout after the 2010 election, and the party’s period in coalition. Its base in local councils bled nearly to death; it fared very badly in Scottish Parliament elections in 2011, and a catastrophic near wipeout in the European Parliamentary elections in 2014, before this year’s humiliation. The party has not just suffered a temporary blip; it has been hollowed out. But something rather strange has happened more recently. After the election the party experienced a surge in its membership – adding 20,000 in four months. My local party went from about 120 in January to nearly 320 now. Some of these new members are returnees, who dropped out in the coalition. But most are drawn from voters, especially younger professionals, drawn to what they understood of the party’s values over the coalition years. These new members signed up in record numbers to attend the conference in Bournemouth, making it one of the most successful ever in terms of membership attendance – though others, from media to advocacy organisations, shunned the party after its loss of influence. The main task at Bournemouth was to integrate this new blood with the old-timers, and to forge a renewed political movement. These disparate elements need to be inspired with a sense of common purpose and values. This is an inwardly focused business – the party has to sort itself out before it can seriously chase floating voters and win elections. And, my impression was, this went pretty well. The formal business was somewhat insipid, with very little controversial put up for debate. But this no doubt helped forge common purpose. And, of course, there was the training, the fringes and the socialising. The new member I spoke to on my journey home said the experience was inspiring, and much better than she had expected; and that seemed to be the view of others she had talked to. The new leader played an important part in this. The leader has three big public performances: the rally speech on the first night, a question and answer session, and the closing speech. I saw the first and last of these. The rally speech was a nicely judged affair, where Tim (as I will call him – I will make no pretence of objective distance) showed his flair for public speaking. The effect was rather spoiled for me by an email follow-up that arrived to one of my mail boxes (one where the party’s database didn’t know I was already a member), attacking Labour, accusing them of not being a serious opposition to the Conservatives. This is more of the bubble-talk of which we have had far to much already. Labour are fired up by their hatred of the Conservatives. There are good reasons to think their opposition will fail, but that failure has not happened yet. The Lib Dems can push Labour to take a stand on liberal issues, claiming to replace it is premature. But the closing speech was a barnstormer – and the best leader’s speech I have heard for a very long time. It started a little slowly, and I thought it was going to disappoint at first – but that was just pacing. Three things stood out for me. The first was, as Roosevelt said in despair at emulating Churchill’s public speaking: “He rolls his own.” No doubt he was helped by speechwriters, but it sounded authentically his voice, with his characteristic humour and turn of phrase. This helps him sound authentic. The second thing was that the speech was rooted in the concrete. Leftist politicians have a habit of talking about abstract ideas (austerity, neoliberalism, progress, and so on). Tim avoided this; to make his point he concentrated on three issues: housing, refugees and Europe, and rooted these in real experiences, asking his audience to imagine the world from a different perspective. There was thankfully no talk of the abstract “centre ground”, so loved by his predecessor, Nick Clegg. And the third thing about Tim’s speech was its plain rhetorical firepower. He has a full range of gears from light and humorous up to full-blown, earnest passion. That full range was on display. With the possible exception of Nigel Farage, the Ukip leader (whom I haven’t heard properly), this might make Tim the best public speaker of all the British party leaders. The contrast with Labour’s Jeremy Corbyn is quite striking. Mr Corbyn oozes authenticity, but he hasn’t got the rhetorical range. So far, then, so good. The party has to do more inward work before it can really start challenging the other parties, though. That is conspicuous on policy. Tim tried attacking Labour for its irresponsible economics. This is pretty weak, until the party can develop its own distinctive economic narrative, that isn’t just a middle line between Labour and Tory. And the party got a glimpse of how hard this policy thing can be with the only controversial policy debate of the conference: on replacing the Trident nuclear weapons system. On the one hand was offered a values-based line of getting rid of nuclear weapons altogether. On the other, more mainstream politicians, including the leaders of the Scottish and Welsh parties, wanted something a bit more fudged that would interfere less with fishing for floating voters. And the conference voted narrowly for this less inspiring course. This blogger will try to make a modest contribution to this policy development, and in particular by suggesting ways forward on economic policy, public service reform and political reform. More on that another time. But meanwhile, I am encouraged that the party is gathering strength. I do not expect a major political impact on the wider scene for another year at least, though. The Conservatives, Labour and the SNP all have momentum right now, and it will be near impossible for the Liberal Democrats to break in with a distinctive voice. But the moment will come, and I hope the party will be ready when it does. A week ago Tim Farron became the new leader of the Liberal Democrats, my political party here in Britain. When such important events occur I am torn between two impulses: to comment straight away, and so be topical, or to pause for reflection; I take the “thinking” bit of my blog’s title seriously after all. The decision this time was quite easy. I was quite depressed by the news of Tim’s victory, as I had been backing the rival candidate, Norman Lamb. I needed a few days to recover from that low patch so that could be more upbeat about the whole thing. Now I am past that wobble, I feel better able to comment. My first reflection is that I must try to be be a good loser. It’s no good my hoping that Tim will be anything other that what he promised to be. And to me that sounds like a distinct step in the “Social Liberal” direction, of supporting centralised state interventions using taxpayers’ money. Or, put slightly differently, going back to the “left of Labour” idea that gained traction under Charles Kennedy’s leadership. This will be good for hoovering up protest votes, but not so good for establishing a coherent new foundation for liberal policy – which I happen to think is the party’s most pressing task right now. I will have to bite my tongue and ride with it. I fear for the longer term consequences, but Tim faithfully reflects the way most of the party feels. What makes this a lot easier is the knowledge that Tim understands community politics. This should make him quite sympathetic to the new thinking when it comes. More so, perhaps, than the previous leadership under Nick Clegg, or even Charles Kennedy was. And Tim is reliably liberal in his attitudes, and with that comes a healthy suspicion of an over-mighty state. My second reflection is that Tim must play to his strengths. While not exactly having had what most people would recognise as a “real” job (he worked in higher education before becoming an MP in 2005), his career doesn’t follow the standard Westminster model. He wasn’t a researcher, PR person, charity worker or union rep (though he was part of the National Union of Students); nor was he based in the rarefied atmosphere of Westminster or Brussels – he was worked mainly in Lancashire. And neither did he engage in politcal networking at Oxford or Cambridge (he went to Newcastle University). This gives him something of the prized “authentic” flavour, which could be very useful in reaching out to the public. As somebody pointed out on the radio over the weekend, he’s a bit like Nigel Farage, the leader of Ukip. Mr Farage was for a long time England’s most successful retail politician, as he traded on his “authenticity” – though his career as a financial trader and European MP was hardly “real world” either. Tim’s rather raw quality will allow him to get away with the odd gaffe, as was the case with Mr Farage – indeed that will all be part of his “authenticity”. And Tim has an engaging turn of phrase. A second strength is that Tim is able to preserve a degree of distance from the Lib Dems period of coalition. He did not serve in the government; he did not even breach the pledge on tuition fees. This will help the party rebrand. He needs to use this distance to his advantage. All this will help him get noticed. As will his promise to support “spiky” policies – ones that aren’t necessarily popular, but which illustrate liberal values. If he’s brave these will include support for immigration and scepticism over nuclear weapons, especially Trident submarines. There really isn’t much to lose. The Lib Dems must become an insurgent party, making mischief while the Labour Party tries to carve out more conventional positions. This will draw attention to the party. But what will people find when they start to pay it more attention? Tim needs to rally the party around coherent values and policies and attract the support of the many people who have liberal attitudes but who do not support the party. There is some baggage here that needs to be dealt with. Many in the party sat tight under Nick Clegg’s leadership, and coalition with the Conservatives, and now want to get revenge. However many people also joined the party because they liked and respected Nick’s leadership. Tim understands the nature of the balance that must be struck here, but the party must resist the temptation to tear itself apart, as its predecessor the SDP did in 1987/88, the party’s previous low point. But this week’s political antics on the Conservative government’s proposed welfare changes shows just how difficult all this will be. Labour struggle to take a nuanced position, opposing some reforms but accepting others. The Tim’s Lib Dems went for outright opposition. This is a role reversal from the last parliament, where the Lib Dems often defended Conservative changes that they had moderated, while Labour condemned the party as being complicit to an ideological attack on the poor. This reversal makes me feel queasy – though as it happens I think the Lib Dem stand is right one on this occasion. The public may just see rampant opportunism on both sides. Or a cat fight amongst parties that aren’t serious about the responsibilities of government. But many Lib Dem activists will just love getting back into the politics of protest and paying back the insults that for years they endured from Labour- even if it plays into Conservative hands. They will enjoy this so much that they won’t notice where it is all leading. What the Lib Dems need is an alternative critique of the government’s economic liberalism, that doesn’t take its inspiration from the way things were before Mrs Thatcher. The last leader to try this was Paddy Ashdown, who stepped down in 1998. Charles Kennedy went for a lazy oppositional-ism. Nick Clegg went for an economic-liberalism-lite. It does not particularly worry me that party turns away from Nick’s path, though I have supported much of it. It does worry me that Tim’s party will take after Kennedy’s rather than Paddy’s. But the jury is out. Tim has the benefit of the doubt for now. And me? I want to put my main political energy into developing new ideas for the economy, public services and the way politics is conducted. What I won’t do is rallying the troops and knocking on doors for a new protest politics. Somebody else can do that.